I agree with Jeff, quite a structure. 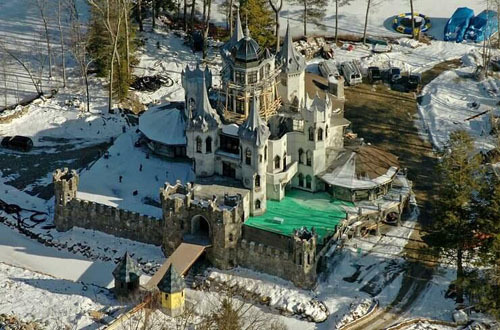 Jim – Based on the two articles (mine and the one on your website) this real estate listing is the same castle that you have listed as Woodstock, CT with question marks. It appears that the photo you have was before the project was completed. Christopher Mark is identified as the owner of each. Chrismark Castle is in Woodstock, CT.